Location by the sea is great. Waves will lull you to sleep. Food was good. The property was a mess ..... from the time i enter the room i notice the light in the bedroom werent working ,i paid for ac and the host had to borrow the guest next door ac remote to turned mines on,no television r lamps as advertised ,wifi poor poor as soon as the room door was closed the wifi cut out ,room needed dusting and room smelt moldly it was awful i asked to have a refunded back to my credit card. This is a family run business and they were lovely and really helpful. The linen was spotless and the beds comfy. All the local people that we met on the road were really friendly and ready with good advice on where to go and how to get there. Not aware of mealtimes or menues to entice me to eat there. Like bed,bathroom cooker fridge and microwave. View.balcony. The location is fantastic for just relaxing and listening to the sea pounding away on the rocks. Ideal for sea lovers for wind and board sailing. Sun trap for just lounging about. You get what you pay for and this is an excellent budget accommodation. great view from the restuarant . friendly waitress. A basic apartment but clean and comfortable and had air conditioning. Handy for the airport and a beach nearby. 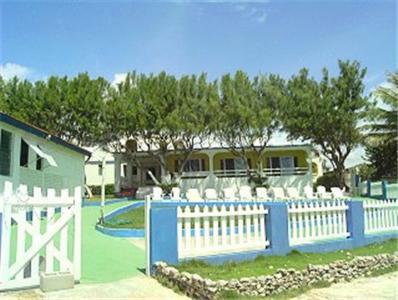 Set on the south coast of Barbados, these bright, self-catering apartments offer a peaceful location, cable TV and free Wi-Fi. White sandy beaches at Cotton House Bay are a 2-minute walk away. With a balcony or patio, all apartments at the Round Rock come with a microwave, stove oven and fridge. 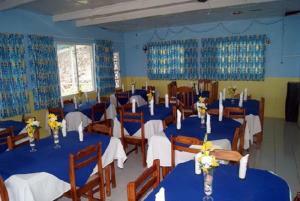 Each has views of the garden or the Caribbean Sea. The restaurant at Round Rock Apartments On Sea Ltd specialises in Baian cuisine, and serves a generous Sunday lunch. 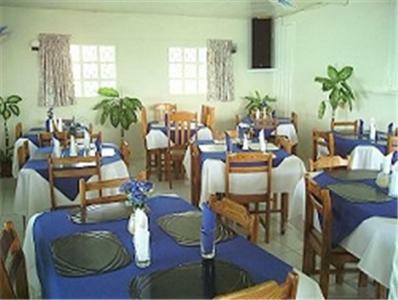 Other on-site facilities include a barbecue and a car rental service. St. Lawrence Gap, famous for its nightlife, is 4 miles away, and it is a 20-minute drive to Bridgetown. When would you like to stay at Round Rock Apartments On Sea Ltd? With a garden-view balcony, this apartment has simple furnishings and a stove oven. With a sea-view patio, this studio has simple furnishings and a stove oven. Featuring a balcony with views of the sea and the garden, this apartment has simple furnishings and a stove oven. House Rules Round Rock Apartments On Sea Ltd takes special requests – add in the next step! Round Rock Apartments On Sea Ltd accepts these cards and reserves the right to temporarily hold an amount prior to arrival. Please note air-conditioning is for a surcharge (USD$10.00 plus tax 7.5% and service charge 10%). Terrible dinner for a very high price. Don't be sucked in by the big looking menu - only a small amount is available and they don't tell you until you are committed. Chicken undercooked, salad just small lettuce leaves, some thin apple slices and tomato wedge. We did not get the room we had booked. No toiletries, no tv and property is looking very dated and tired. As the family are aware, not everything is working properly. The ceiling fans in the bedrooms need attention and the lovely big fridge/freezer freezes everything in the fridge compartment! These are things that will be attended to during the quiet season. Tour of premises. Written info on procedures. Quicker responses to email communication. Last minute additional charges. Not knowing that the hostess did not not live at the premises. I gave my keys to the cook before i left. Checkout precedues should have been clarified in advance. Lace curtains would have helped privacy as the apartment was near to the sea with workmen and fishetmen passing by. No swimming pool Furnitures, cutleries, curtains could be renewed. 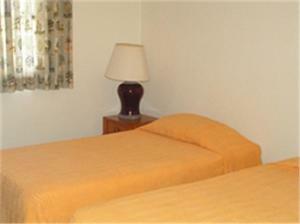 It is clean but rooms have a 20yrs old style and look old fashioned and rather cheap. Lines are missing to hang wet clothes/rash jackets/swimwear... AC is not included in the price and is optional (10 US$ a day) even though there is a a fan that works quite well. You don’t see the kite beach from the hotel. Round Rock is so large that it hides it so you cannot check your kite/bag/pump left on the beach if you go back to hotel for lunch ... No access into the sea from the hotel, this is just nasty edgy rocks with a small 1m50 high cliff so you cannot get into the water from there. Lighting didn't look safe, one bed was very uncomfortable. One bedroom door didn't close and was banging in the wind from the open window. Meals are good but make sure you order in good time and there could also be a wait. Island time! There is very little things to do around. The windsurfing/kitesurfing spot is not good for kids and therefore, they've been in the apartment for most of the day. Very clean and close to the ocean.